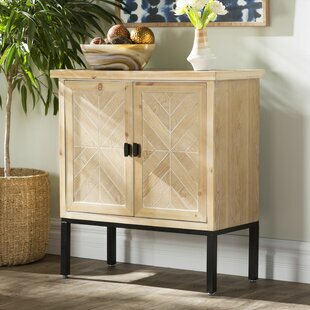 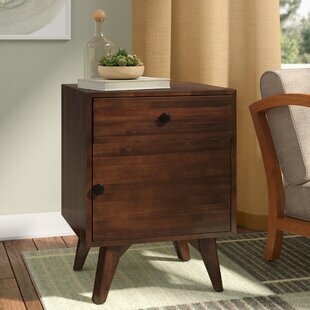 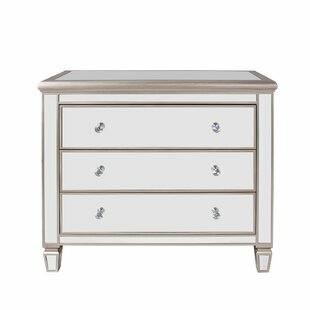 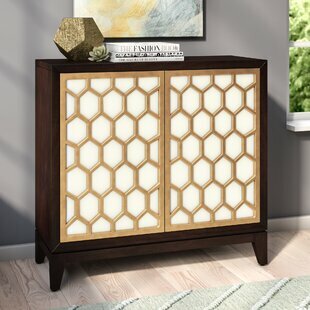 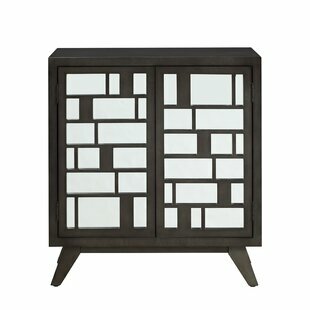 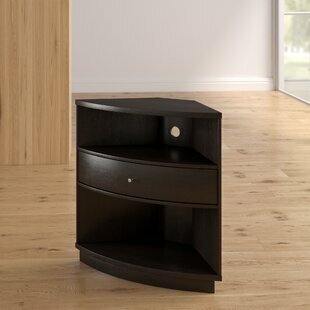 Crafted of solid and manufactured wood in a faint whitewash finish, this chic one-door accent cabinet strikes a boxy rectangular silhouette with chunky moldings, while its black iron base features four straight square legs with round metal feet. 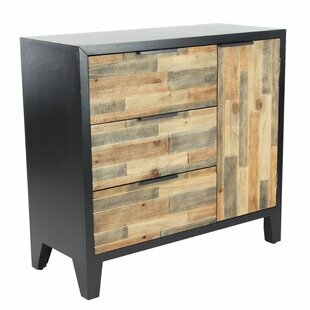 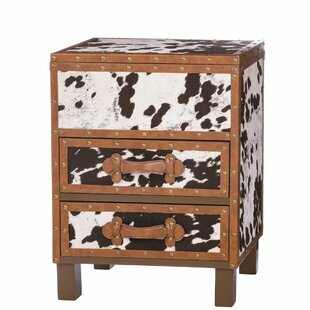 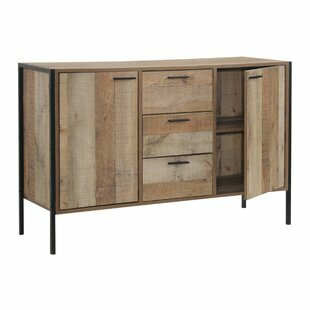 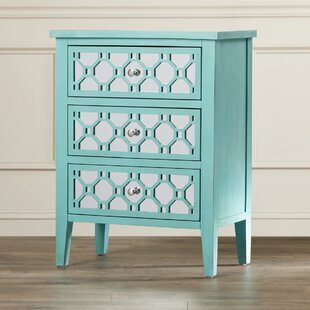 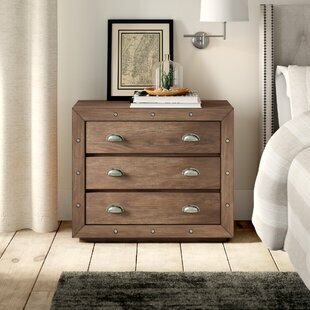 Stealing the show, the eye-catching cabinet doors feature herringbone parquet inlays and distressed iron doorknobs. 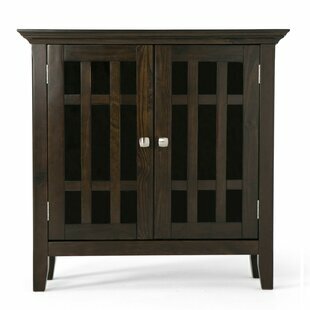 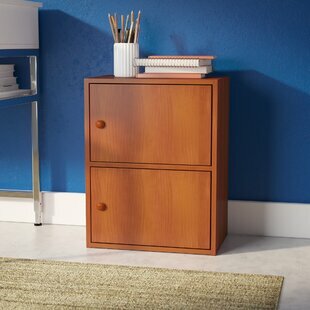 Interior cabinet shelving provides out-of-sight storage for everything from books, to board games, to barware, while the smooth top... Base Material: Metal Top Material: Manufactured Wood Tipover Restraint Device Included: No Overall: 33.8 H x 31.5 W x 15 D Overall Product Weight: 50lb.